I have been getting lots of purple plums in my produce boxes this summer and that has resulted in me having fun creating delicious plum desserts. I think I finally have one worth sharing, a tart plum crisp! The sweet crunchy crisp perfectly complements the tartness of the plum filling. Having an oat based topping makes this the perfect breakfast appropriate dessert. It really is like eating a warm bowl of oatmeal with baked plums. That’s right, I’m encouraging you to eat dessert for breakfast. You only live once after all! Note: If you don’t have any fresh plums, or they are out of season, you can replace the fresh plums with two 15 oz cans of purple plums. Just be sure to remove the pits and drain them. In a large saucepan, combine fruit juice, lemon juice, sugar, and cornstarch and mix until smooth. Bring to a boil over medium-high heat stirring frequently. Add in plums and continue cooking and stirring for 1–2 minutes. In a mixing bowl combine flour, oats, brown sugar, and cinnamon. Mix in butter and corn syrup until mixture is crumbly. Top plums with the crumb topping. Serve warm or cold, and don’t forget the scoop of ice cream! 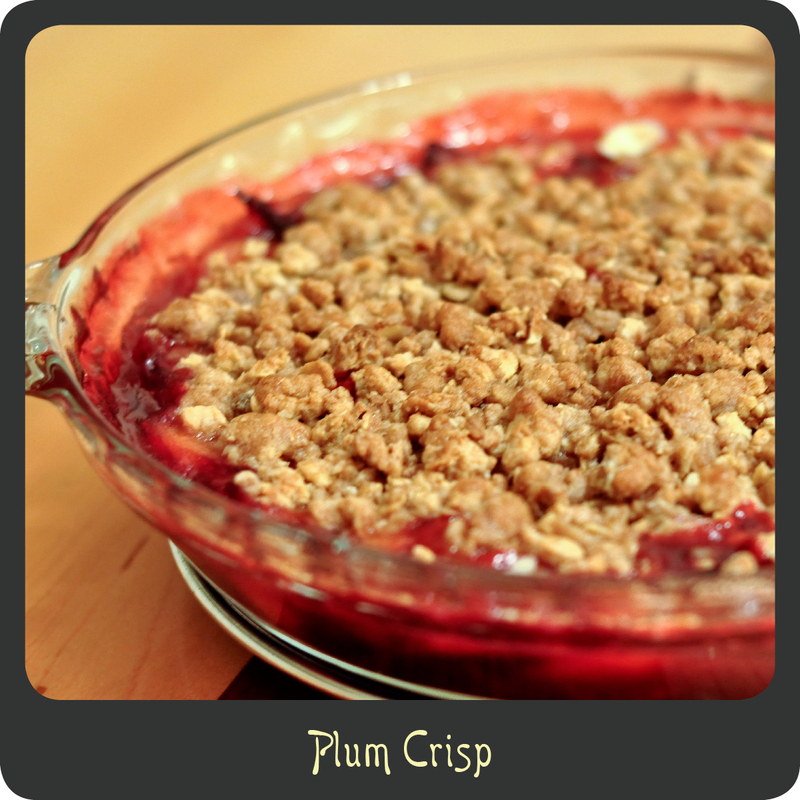 This plum crisp was so good! I wish I had made a double batch!